Winchester owes its humble beginnings to Rimfire Ammunition. As a matter of fact, Winchester's first commercially available metallic cartridge ammunition was a large caliber rimfire load introduced back in 1866. More than 130 years later, rimfire is the world's most popular ammunition. 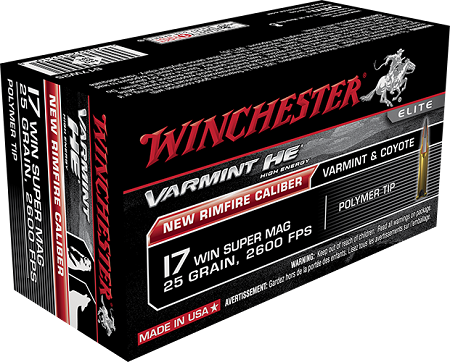 As you would expect, Winchester has you covered with a complete line of high-performance cartridges including the undisputed heavyweight in rimfire ammunition - the 22 Winchester Magnum introduced in 1960. From precision target shooting to plinking, small-game hunting and silhouettes, Winchester is chosen by rimfire shooters worldwide.